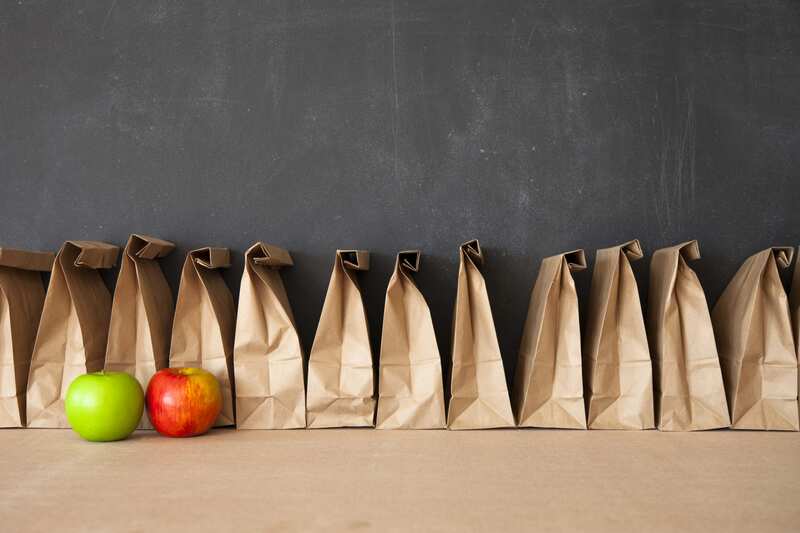 Whether you have kids that have just headed back to school or you are tired of eating out at the office, brown bagging it is not only cost-effective, it is also a way to control your calories (if you’re trying to lose weight), eat healthier and take charge of what your kids eat during the day. 1) Include more whole foods and less processed foods. Choose lunch items that are high in fibre and nutrients, and low in sodium and sugar. Take, for example, deli meats. Most deli meats are pumped full of sodium and nitrates. While sodium nitrite does help prevent the growth of Clostridium botulinum, which can cause botulism in humans, it is also used alone or in conjunction as a colour fixative in cured meat and poultry products (bologna, hot dogs, bacon). During the cooking process, nitrites combine with amines naturally present in meat to form carcinogenic compounds. It is also suspected that nitrites can combine with amines in the human stomach to form N-nitroso compounds. These compounds are known carcinogens and have been associated with cancer of the oral cavity, urinary bladder, esophagus, stomach and brain. Research in Sweden found that Swedes who ate on average three ounces of processed meat each day had a 15 percent greater chance of developing stomach cancer than those who consumed two ounces or less. Opt instead for nitrate-free deli meats (ask your deli counter person to point out which brands are nitrate-free AND low in sodium), or better yet, roast a whole chicken or roast beef on Sunday and use that meat throughout the week for sandwiches, wraps and to toss into salads. 2) Be creative. Your kids will appreciate it if you think outside the brown-bag for their lunches, and if you’re packing for yourself, so will you. I mean, do you really want another boring old sandwich to look forward to at lunch? Instead, why don’t you try a fruit and cheese plate, or a pita pocket stuffed with falafel balls and some hummus? Or, how about using last night’s pasta and pack a cold pasta salad with chopped chicken. Then there’s always bean and cheese tortillas, sushi, homemade soup (or try a low-sodium brand such as “Amy’s”, “Imagine” or “Wolfgang Puck”), or my favourite quick lunch meal of almond butter, topped with no-sugar added jam on Squirrelly bread with some raisins sprinkled on top. 3) Plan ahead. Use Sunday to plan your meals for the week and shop and buy all the groceries that you need so that you have everything on hand when you need them. I plan all our lunches and dinners on the weekend and prepare as much as I can to give me a head start for the week. For instance, plan to make a stir-fry on Monday night and then use the leftovers in a wrap the next day. Or, make a large salad that will carry you for the week and just add different toppings and dressings throughout the week to give you a variety of different tastes. 4) Don’t actually use a brown bag. I know I keep referencing a brown bag, but they rip easily and won’t keep your hot foods warm and your cold foods cool. Invest in a lunch box with insulation and with different compartments so that foods and beverages can be kept separately. Also, purchase some small plastic containers (avoiding containers with the numbers 3 or 7 on the bottom – these have been proven to leach chemicals into our foods – yuck! ), or glass containers to store each item and a freezer pack to keep the cold foods cold. This will keep your foods both fresh AND safe for lunchtime consumption. Monday 3oz thinly sliced low-sodium nitrate-free turkey breast on 3 Wasa High-Fibre breads, a lg carrot stick & a ½ red bell pepper sliced & dipped in a ¼ c of hummus. ¾ c of 0% Vanilla Greek yogurt for dessert. Tuesday Tuna salad sandwich: 3oz of tuna mixed with ½ c 0% fat Greek yogurt, (1) chopped hard boiled egg, 1 tbsp green relish, spread on a whole-wheat tortilla shell (such as “Weight Watcher’s” Whole Grain Wrap) and whatever veggies you want to add. 1 c blueberries for dessert. (if you prefer lower calories & 0 carbs wrap the tuna in butter lettuce instead of a wrap. Friday Pizza roll-ups: take 1-8” whole wheat tortilla shell, spread with 2 tbsp low sodium pizza sauce, 12 spinach leaves & 3 tbsp partly skin mozza cheese (note: you can also add veggies too). Roll & cut tortilla into 6 pieces. Caesar salad tossed in a home made dressing (I use 0% Greek yogurt for my Caesar dressing) & instead of croutons (which are filled with fat & preservatives) try roasted chickpeas, hemp hearts, or salad crunchies (a mixed nut blend you can buy at most grocery stores).